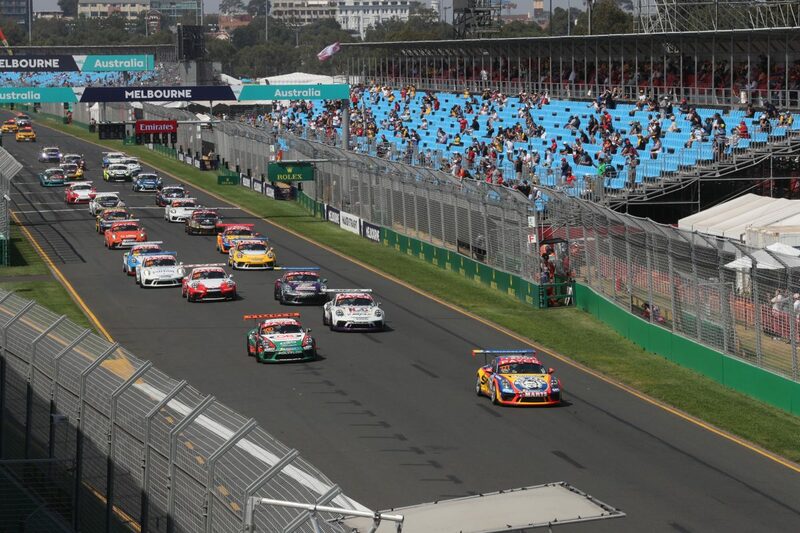 Kenny Habul has eased to his second Australian GT win of the weekend in the final race for the series in Albert Park. 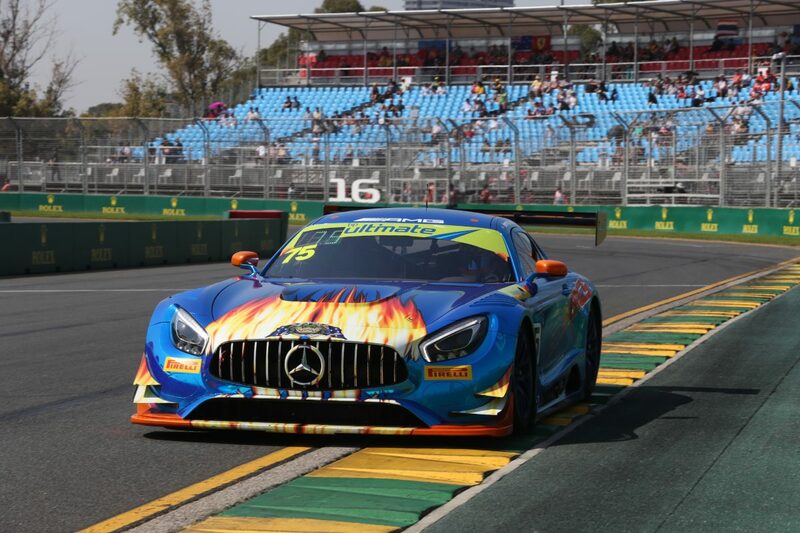 Habul started from pole and led from start to finish, resisting a brief challenge from Max Twigg with Peter Hackett making for a Mercedes-AMG one-two-three. Fraser Ross was a non-starter when the second placed McLaren failed to pull away from the grid, seemingly stuck in gear. It forced the start to be delayed as the stricken car was cleared from the grid, the field trundling through pit lane as a dejected Ross watched on from the pit wall. A single file restart resulted, Habul leading Twigg into the first corner from Geoff Emery and Hackett as Ryan How came under the attentions of Tony Bates into Turn 3. Twigg and Habul briefly squabbled before the SunEnergy1 driver slipped off the front, extending a more than eight second advantage by the flag. Hackett found a way through on Emery to take third, while a battle between Bates, How, and Lee Partridge finished in that order following a near race-long battle for fifth. Round 2 supports the Pirtek Perth SuperNight on May 2-4. Jordan Love has pulled off another race win in Round 2 of Porsche Payce Carrera Cup Australia at Albert Park, leading all the way in Race 4. Love got the jump and put 2.3814s between himself and Sonic Motor Racing team-mate Dale Wood on the standing lap. They ran first and second all the way, with the former winning the 10-lap affair by 8.0744s. Third position was hotly contested, however, and a four-car battle was ultimately resolved in favour of a surging Michael Almond in another Sonic car. He lunged past David Wall at Turn 15 on Lap 7 to take fifth, inherited fourth when Cameron Hill lost pace towards the end, then picked off Warren Luff with a textbook move at Turn 13 on the penultimate lap. Luff (McElrea Racing) finished fourth, from Wall (Wall Racing), Thomas Maxwell (Sonic), and Hill (Cameron Hill Racing). Roger Lago (Lago Racing) was first home in Pro-Am class in 12th outright, while 2018 Porsche Michelin GT3 Cup Challenge runner-up Cooper Murray (Ashley Seward Motorsport) finished 19th after a tag from Maxwell saw him spin at Turn 13 on Lap 1. Wood, who won Races 1 and 2 of the weekend, leads the series ahead of Round 3 at the WD-40 Phillip Island SuperSprint on April 12-14. 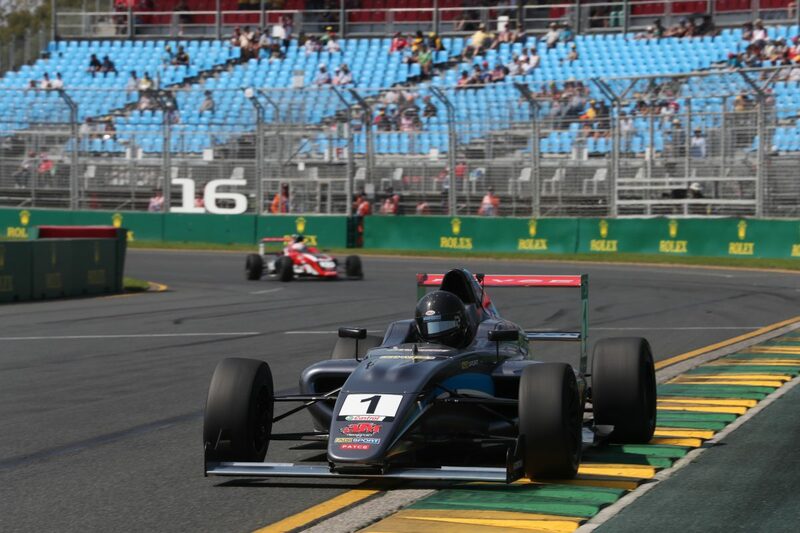 A damaged wheel couldn’t quite stop Jayden Ojeda in the final race of Round 1 but it is Luis Leeds who sits atop the CAMS Payce Australian Formula 4 Championship. Ojeda, the 2018 champion, blitzed the start and disappeared up the road, while AGI Sport team-mate Leeds took up second from Team BRM pair Ryan Suhle and Lochie Hughes. There was a nervous moment for the race leader when he nearly dropped it on the grass under brakes at Turn 3 while four seconds up the road. Ojeda then gave up ground with wheel damage in the nearly three laps which remained after that, but was still a clear race winner from Leeds, Suhle, and Hughes. Race 2 winner Antonio Astuti had an eventful morning, running off on the opening lap when he outbraked himself on the outside of Hughes at Turn 3. He was off the road again at Turn 15 on Lap 6 when AGI Sport stablemate Josh Smith divebombed him and running long was preferable to inevitable contact. Astuti appeared to lose pace thereafter and came home 15th in the eight-lap affair. Round 2, featuring four races, takes place at Sydney Motorsport Park’s Shannons Nationals meeting on May 17-19.